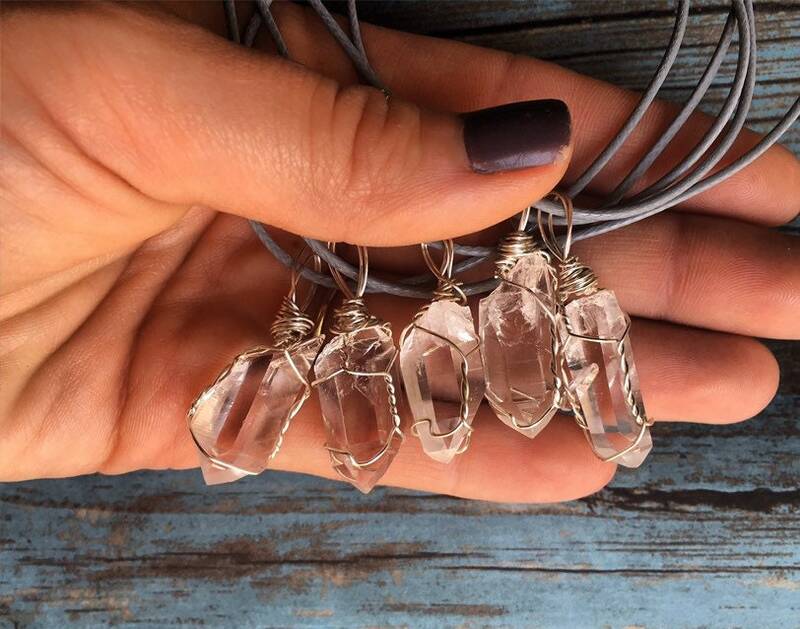 Quartz is a crystal everyone should have in their collection! This stone road our body of negative energy and helps realign your body, mind and spirit. 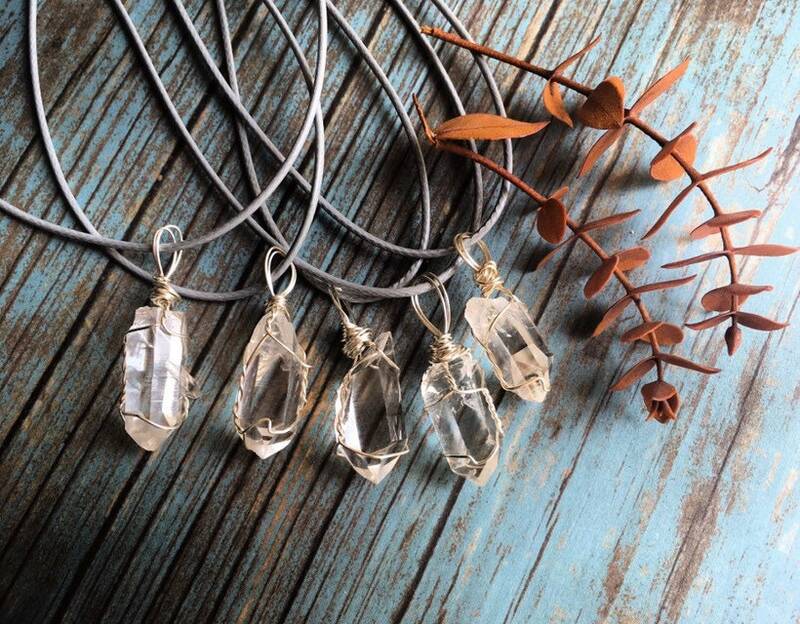 When placed in your home, Quartz will cleanse the energy, letting peace and positive energy fill your space. We hand pick and wrap each pendant.